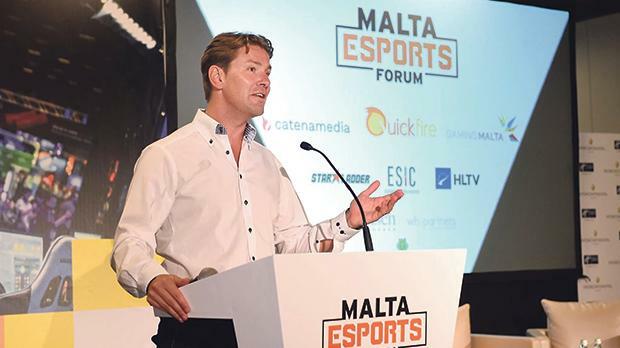 Quickfire, part of Eden Leisure Group, hosted its first ever Malta eSports Forum. The half-day event, which took place at the InterContinental Arena Conference Centre, served to provide an introduction and discussion to the rapidly expanding sector of eSports. The event was attended by a vast number of individuals from various sectors and industries and proved to be a great opportunity for attendees to improve their knowledge about the world of eSports. The conference opened with an introductory speech by Parliamentary Secretary for Financial Services, Digital Economy and Innovation, Silvio Schembri, followed by speeches by Eden Leisure Group CEO Simon De Cesare and Gaming Malta head of operations and business development Ivan Filletti. The forum was divided into two parts, with a number of guest speakers discussing various aspects of the world of eSports, as well as a panel at the end of each of the two halves. A reception was then held at the InterContinental Sky High Lounge, where attendees had to opportunity to engage in networking with other like-minded individuals and groups to increase capabilities in the sector. Mr De Cesare said: “It was a pleasure to host the first eSports forum in Malta. We had a very positive response from the invitations we sent to our foreign speakers, offering a truly diverse and informative perspective on the eSports industry, from player development to the gambling side of gaming. We intend holding several of these forums annually and will also be looking at a larger event to showcase Malta in the eSports world. The Eden Leisure Group sees the great potential that exists in Malta for the world of eSports and we are delighted that our aim of properly introducing it to the local public was very well received”. The forum was held in partnership with Catena Media and Gaming Malta.